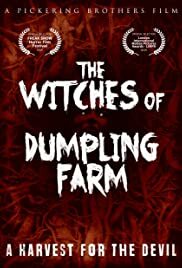 After being thrown out of his home by his wife for being promiscuous, Mark finds himself back at Dumpling Farm, a place of youthful memories and parties, but things aren't quite right. His old buddy Ian, who has never left the place, is possessed by a group demonic, flesh eating Witches. Using Ian and his farm, these beautiful Witches honey trap Mark and his friends to consume their souls.